Shoot! 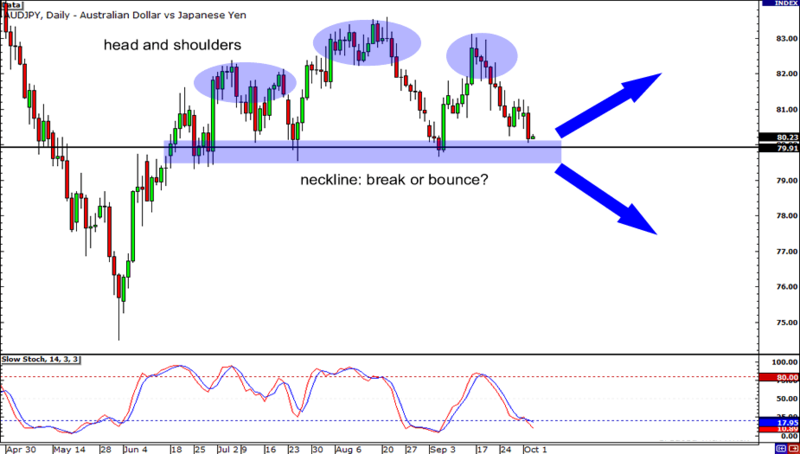 I think I see a head and shoulders pattern on the daily time frame of AUD/JPY! The pair is now approaching the neckline around 80.00. My question is, will we see a break or a bounce? A strong close below the major psychological handle could mean that the pair is on its way down to 75.00. However, be on your toes for reversal candlesticks as they could hint that AUD/JPY would soon trade around 83.00! Does the setup look familiar? It should be! USD/CHF is looking pretty much like EUR/GBP in yesterday’s trading. Price is now testing the 38.2% Fibonacci level which coincides with the broken trend line. 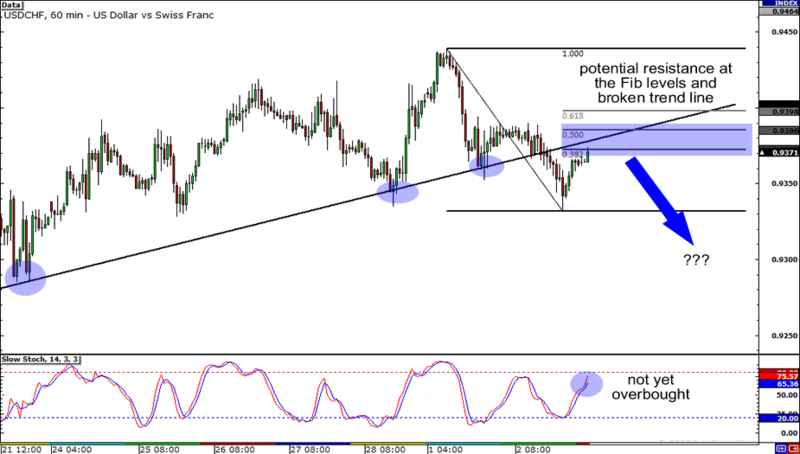 If there are enough bears in the market, USD/CHF could soon tumble down to .9250. But be careful! Take note that Stochastic is still not in the overbought territory, indicating that the pair still has room to trade higher. 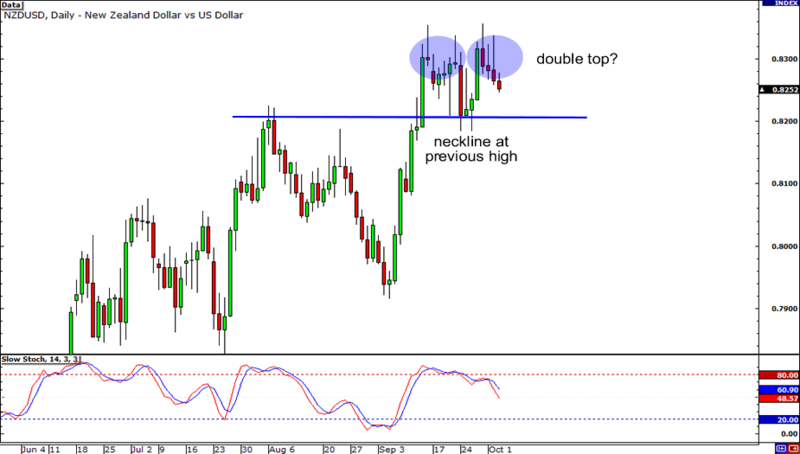 Finally, here’s NZD/USD on the daily time frame, sporting what looks like a double top! Graduates of the School of Pipsology know that this particular chart pattern is widely considered as a bearish signal. However, don’t get too excited selling the pair just yet. Keep tabs on the neckline around its previous high at the .8200 psychological handle. A strong bearish close may mean that NZD/USD would drop down to .7900. If we see reversal candles materialize at the handle though, it could mean that the pair is on its way to tap a new high!